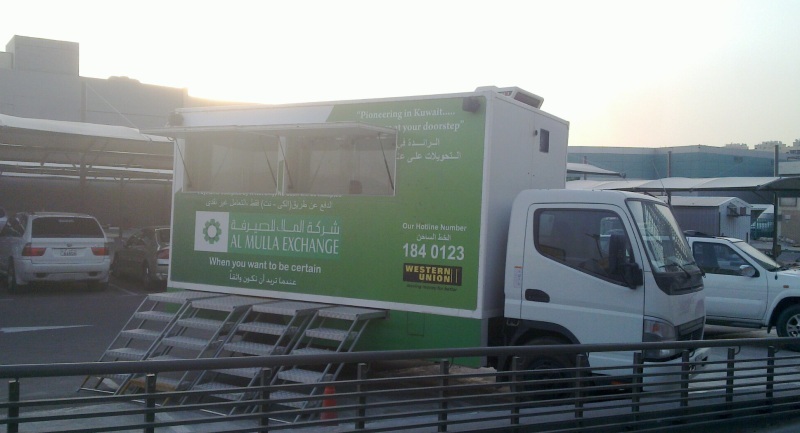 I spotted this Al Mulla Exchange van at the entrance to City Center at Dajeej. At most other supermarkets you can find mobile ATMs to withdraw money for spending. This is the first time I’ve seen a mobile Money Exchange/Transfer unit. I guess they are encouraging you to send your money back home instead of spending it at super markets. 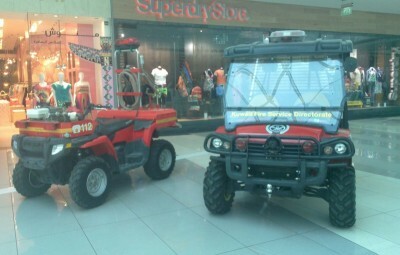 The Kuwait Fire Service has put up a stand at the Avenues Mall opposite the food court. They have some of their smaller vehicles on display as well as a lot of the equipment they use. The blown gas tank and burnt desktop caught my attention. 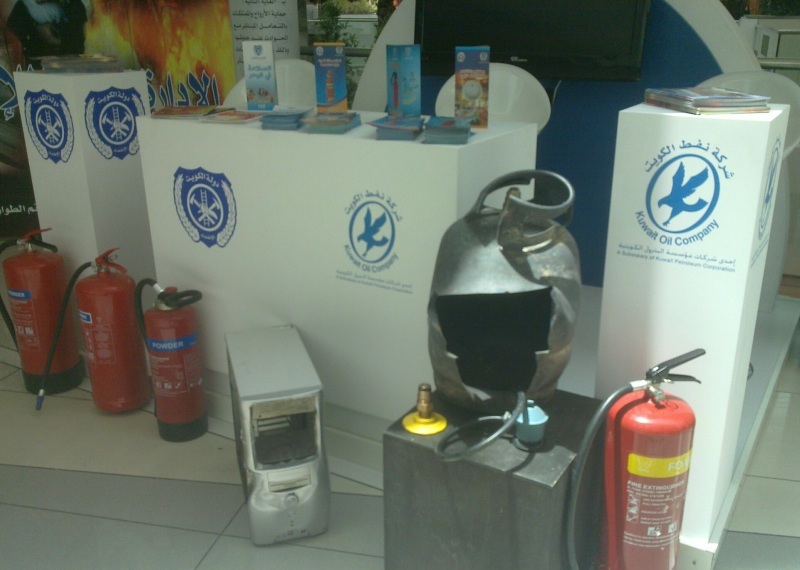 Lots of informational handouts available too mostly on using fire extinguishers. For kids they have some cardboard firemen with faces cut out (there were quite a few tiny-tots waiting for a pic) and a ton of coloring books. It’s a nice little exhibit but there was just 1 guy managing the whole setup. Maybe the rest were out for lunch at that time. Having more reading material in English might help the rather large non-Arabic speaking/reading crowds. Vertical Keyboards – The Future? After 7 years of good service, my curved Microsoft Natural Ergonomic Keyboard started malfunctioning. 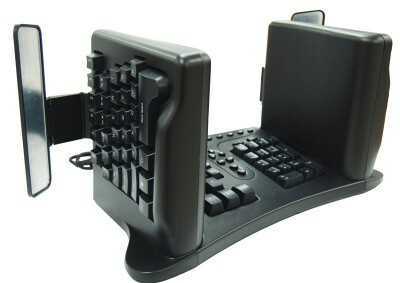 Since that model is outdated I started researching some newer ones and came across Vertical Keyboards. The one in the picture above is from SafeType. They have a great video about the problems you get from using normal keyboards. I feel everyone must watch this at least once [link]. Basically there are three problems you suffer from while using the flat rectangular keyboards. Pronation: the twisting of the bones in your fore arm while turning your palms face down. Ulnar deviation: the twisting of wrists while aligning with the keyboard. Extension: bending of wrists to type. My ergonomic keyboard reduced the Ulnar deviation and extension issues. Keep in mind that ergonomic keyboard use works well with wide armrest chairs or wide chairs with comfy armrests for the elbows. This is because your elbows are positioned outward automatically. I think we should all shift to vertical keyboards. In fact HR & IT departments should force employees to use these. A few extra bucks could go a long way in providing a stress free computing experience. I wonder if anyone sells these in the Middle East. Happy typing! Came across this great piece of software called Ninite. 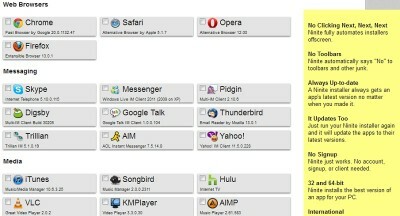 It’s a handy little tool that helps you install all the little apps you love having on your laptop or desktop. 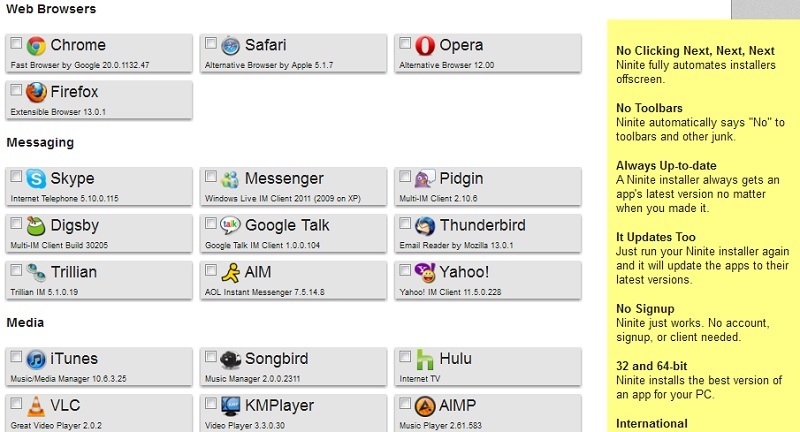 They support a lot of applications and have them categorized as browsers, messaging, media, utilities, imaging, security and so on. To start, visit the website and just select all your favorite applications from the list. 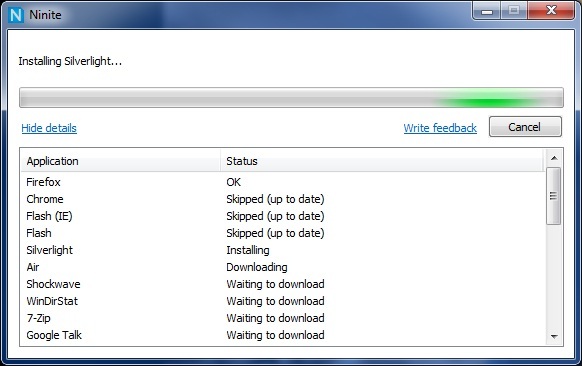 Then click the “Get Installer” button. 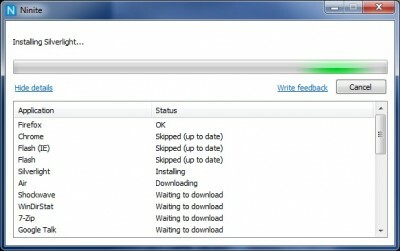 This will download a tiny installer file to your desktop. Run that installer and then go grab lunch. If you have a fast enough internet connection and a fast enough computer, but the time your back all the software would have been installed. The whole process ran smoothly with no clicking those “Next” buttons or accepting any terms, etc. I love this app! They have a Pro version as well which would make sense for IT departments in large companies. Amadeus Employs 101% of their Staff! I came across these figures on the Amadeus Annual Report. In 2011, Amadeus employed 101% of their staff! 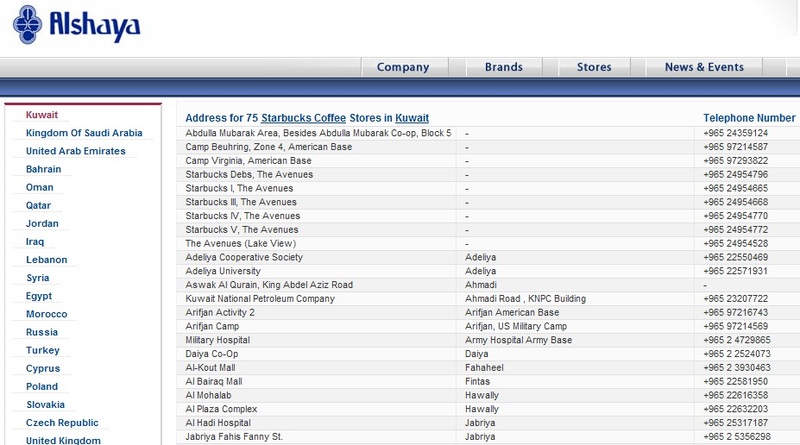 75 Starbucks Outlets in Tiny Kuwait! 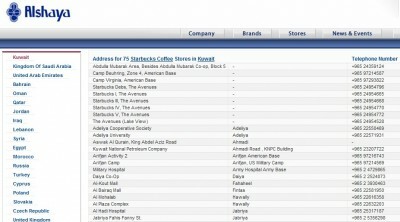 I came across that figure on the Alshaya site today… 75 Starbucks Coffee outlets in Kuwait! That sounds like a lot for a tiny country. There are 5 at the Avenues mall and 10 in Salmiya. How much coffee do they sell everyday? Everyone who knows me, knows that I’m not fond of walking and that I’m a slow walker. I’m the guy that circles the parking lot 5 times just to get a spot closest to the lift just to avoid walking. A few months back Ro bought me these Skechers Shape-Ups Liv shoes. I initially liked the shoes because of the funny curved sole and it was the first time I saw a DVD packed in the shoe box. I though the shoes came with some software but the DVD was just a marketing video. So I give the shoes a try. It feels very odd at first, like walking on air. The shoes themselves are pretty light weight, have a very snug fit and the curved sole makes me feel much taller than I initially expected. 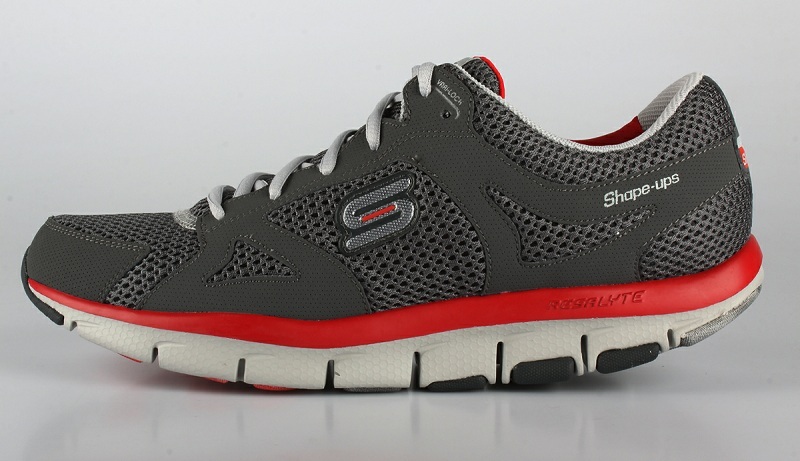 The best part of this shoe is the “natural stride” technology. Basically the curved sole design makes walking very comfortable. The design of the shoes naturally moves your feet ahead. I’ve not felt any pressure or tiredness from walking since using these shoes. In fact I’ve been walking much faster without getting tired, faster than Ro who is a natural fast walker. My days of having to keep up are over! The only issue I’ve found with the shoe is the rocking motion you tend to get into if you stand anywhere or are waiting in a queue for something. It happens naturally and is fun, but after a while people start to wonder what’s wrong with you. I’d recommend these shoes to all you lazy bums (like me) out there. Get a pair and give it a go! 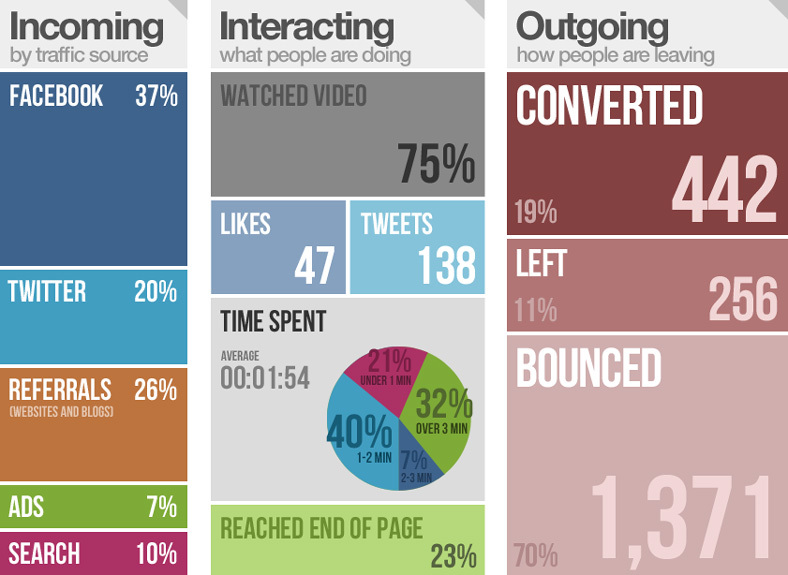 Smore is neat online tool you can use to create beautiful flyers instantly. 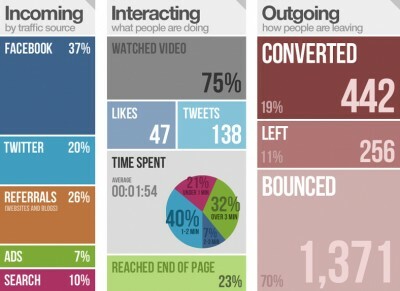 I liked the above example for website stats the best! Is McDonalds Open 24 Hours? Around 5:30am, after a long over-night function, about 12 of us all suited & booted decided to grab some breakfast at McDonalds Corniche. For some reason we were under the impression that this place is open 24 hours. It might have been those bright labels on the door that said “Open 24 Hours”. 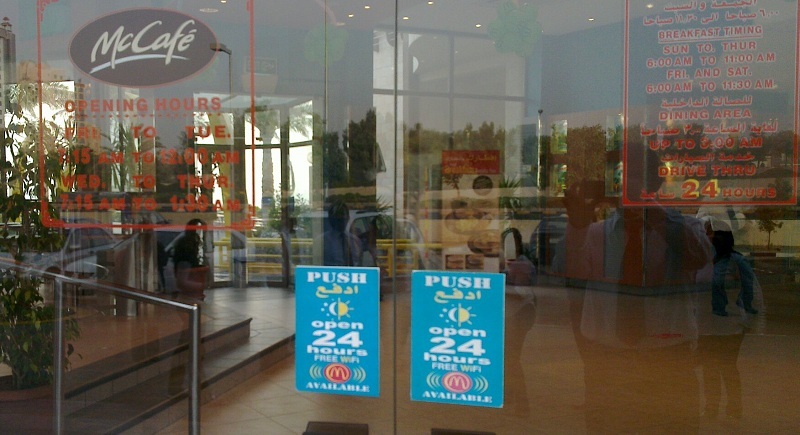 However, the more transparent labels indicated the place only opened at 6am. Anyway, after waiting for some 15 mins at the door, the staff let us in so we could fill up our hungry stomachs. Don’t you just hate those misleading signs! When I took delivery of our SUV a few months ago, the chap at the showroom gave me such a thorough explanation of the car features that I didn’t bother reading the manual. He handed me the key-less keys and I just drove off. Recently, I decided to glance quickly through the manual and to my surprise I found out that there is an actual key embeded in my key-less key! All I had to do was press the little round button at the top and pull up the key with some force. I just assumed there wouldn’t be a key since there was no need for a key to either unlock the car or start up that engine. So now my key-less key is no longer key-less!